At this point, I think that most people are aware that I just plain old didn’t like The Dark Knight. The film won endless praise from critics, fans, and audiences everywhere, but I found it to be a bloated, scattered film that relied too much on the magnetic performance by the late Heath Ledger. Instead of focusing on Batman and really giving the character some depth, heart, and soul as he did in Batman Begins, Christopher Nolan seemed to regard the man in the cape with distaste, in a manner similar to so many of Gotham’s more cynical residents. So I think a lot of people expected me to hate The Dark Knight Rises, too. Nevertheless, I approached it with an open mind and the results were rather unexpected. That’s right, I enjoyed it. Sure, I had a few nitpicks here and there – Tom Hardy’s Bane sounds like an autotuned Sean Connery, and the film does go on forever – but on a fundamental level, Rises is simply a better film than its predecessor. It follows a coherent narrative, it celebrates its protagonist, and, perhaps most importantly, it seems to genuinely embrace comic book culture. From the first few scenes to the rousing conclusion, I felt that Christopher Nolan had finally accepted the world of Batman wholeheartedly. At its core, Rises succeeds for two reasons. The first, and perhaps more noticeable, is that it forgoes the pitfall of The Dark Knight by focusing on its plot instead of its villain. Indeed, there is a marked difference in coherence between a plot-centric villain (The Dark Knight Rises) and a villain-centric plot (The Dark Knight). Whereas in Nolan’s last film every scene felt like filler material biding time before we got a chance to see the Joker again, in Rises, Bane functions simply to drive the story forward and to emphasize Bruce Wayne’s growth as a character. The other major difference is that where The Dark Knight celebrated despair and the fall of a hero, The Dark Knight Rises celebrates the hero himself, and in doing so lends a true sense of hope and positivity to the film. * What I think Nolan understands now is that people actually like Batman – quite a lot, actually. We want this crazy man in a suit to succeed, and when he doesn’t, it leaves the audience feeling blue. I’m not calling for every film to end with sunshines and rainbows, but there is a reason Batman is one of the foremost icons of the superhero genre – audiences want to see him triumph. And so ultimately, because he got these two key aspects right, I walked away from a Christopher Nolan Batman film having genuinely enjoyed myself for the first time. So that’s what that feels like. *One might argue that The Dark Knight should get a pass for this because all three films are part of a single, contiguous storyline, but a film should be able to stand on its own two legs – and in that respect, The Dark Knight does not measure up. Batman Begins and The Dark Knight alluded to a time when Gotham city would no longer need Batman. And with The Dark Knight Rises, Christopher Nolan finally asks the questions we have been waiting to hear the answers to. How would Batman become the immortal symbol of justice for citizens and fear for criminals? 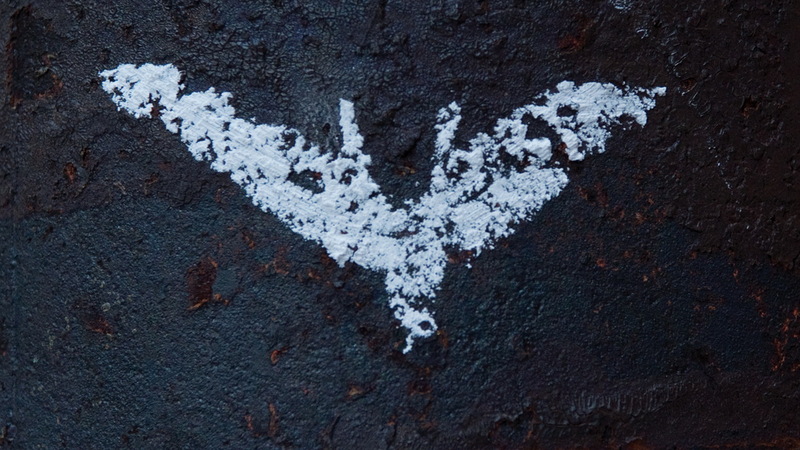 What did Bruce Wayne still have to give the people of Gotham? Would Bruce Wayne ever truly be able to retire from the role of Batman? These were the big questions that raced through moviegoers’ minds waiting for The Dark Knight Rises to come out. The Dark Knight Rises follows Bruce as he is coaxed out of retirement and makes his return – as well as the consequences thereof. A subtle but noteworthy point the first act shows us is how fused Bruce is to his alter ego. When he retires from being Batman, he retires from life altogether. The first act makes for a suspenseful set-up, showing what the physical, mental, and social costs of being Batman have been so far and prompting speculation as to what the ramifications will be for putting on the cowl once again. Bane makes for a fantastic villain, both due to Tom Hardy’s acting and to Nolan’s writing. Rather than portraying him as the muscle-bound clod shown in Batman and Robin, Nolan rewards fans of the comics with a proper intellectual and physical counterpart to Batman. That said, I felt that his character development and agenda aren’t quite up to par. Bane’s background, while original to the film, is overly discussed, and his agenda just seems to touch too closely to the Joker’s anarchy from The Dark Knight. Nevertheless, Bane’s multilayered efforts to break Batman are impressive enough to hold rank alongside the villains of the last two films. As the final chapter of the trilogy, Nolan definitely delivers on suspense, drama, and action. However the story itself, both independently and as part of a series, could have been better – especially in comparison to both Nolan’s The Dark Knight, as well as to other ‘final battle’ Batman stories like Frank Miller’s The Dark Knight Returns. Before we conclude, the staff at Movie Fail would like to once again offer our condolences to the families affected by the Aurora shootings. If you are able, please consider donating to the Aurora Victim Relief Fund. You can visit the CBS Denver page here for instructions on how to send your contribution either online or by snail mail. You may also donate by purchasing Aurora, a piece composed by Hans Zimmer in memory of the victims.